Copeland’s superior guitar playing could easily steal the show were it not for his sublime vocals and storytelling ability. Like the classic prewar stylists he’s channeling, Les creates sonic sonnets that relate the struggles and joys of a life lived hard but well. Some of the standout tracks include the title track, “To Be In Your Company,” a loving ode to Les’ friend and companion, late Delta legend Honeyboy Edwards; “Knucklehead,” a playful love song for Sarah, his wife; and “Sunny Afternoon,” Les’ free and easy interpretation of the Kinks ‘60s classic. 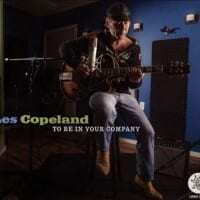 Copeland evokes the ghosts of Leadbelly and BBQ Bob on the 12-string driven “Borderline,” “Bessie” and “Crosstown.” “Bessie” is notable for its heartfelt account of Honeyboy’s adoration for his wife Bessie. Les unwinds a deep cut written by Bob Dylan with “Moonshiner” and owns every lyric and turn in the process. El legendario David ‘Honeboy’ Edwards y su manager Michael Frank, propietario del sello Earwig dedicado a preservar el blues de Chicago, reconocieron de inmediato el talento innato de Les Copeland, tanto tocando la guitarra acústica como la eléctrica, así como su vena de cantante y compositor. En el año 2010 Les grabó su primer álbum para Earwig y ahora vuelve con renovadas fuerzas y mucha vitalidad con este “To Be In Your Company”, un titulo que quiere ser un tributo a la memoria de Honeyboy Edwards, para agradecerle todas las enseñanzas que le transmitió como maestro y compañero en la música durante más de quince años. El disco incluye una serie de canciones propias, que transmiten al oyente toda la estética y el espíritu del blues del Delta al actual siglo XXI y todo ello de una forma espontánea, tranquila, elegante y sosegada. Actualmente Les se ha ganado el respeto y la admiración de no sólo muchos otros músicos sino también de las audiencias, especialmente por su labor de promocionar y mantener vivo el recuerdo y la música de leyendas del blues como David ‘Honeyboy’ Edwards, Jimmie D. Lane, Sonny Rhodes o Jimmie Lee Robinson. MUY BUENO. Legendary David 'Honeboy' Edwards and his manager Michael Frank, owner of the Earwig Records which aim is to preserve Chicago blues, immediately recognized Les Copeland’s natural talent, both playing acoustic and electric guitar, as well as a singer and composer. 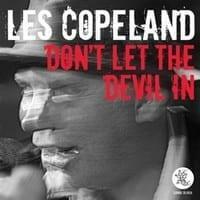 In 2010 Les recorded his first album for Earwig and now he comes back with renewed strength and full of vitality with his last album "To Be In Your Company", whose title wants to be a tribute and honour the memory of Honeyboy Edwards, as a way to thank him all what he taught him for more than fifteen years as a real master and music partner. The album includes a series of own songs, that communicate listeners the aesthetics and the spirit of old Delta blues to the actual twenty first century on an spontaneous, calm, elegant and peaceful way. 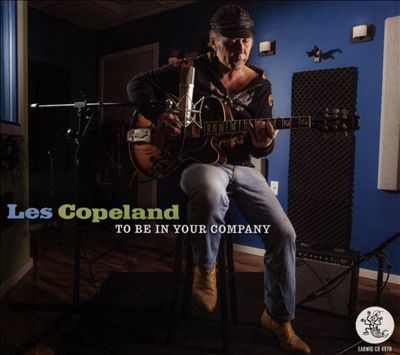 Nowadays Copeland has gained the respect and admiration of many other musicians and audiences, especially for the effort and task he is doint to promote and keep alive the memory and the music of blues legends like David 'Honeyboy' Edwards, Jimmie D. Lane, Sonny Rhodes or Jimmie Lee Robinson. GREAT.